After conneted with optional Bluetooth module kit ,YT-M05 integrates bluetooth hands free phone call and stream mobile phone’s A2DP music playback into car stereo system. Yatour also offers special lightning to 30pin adapter for iPhone5. 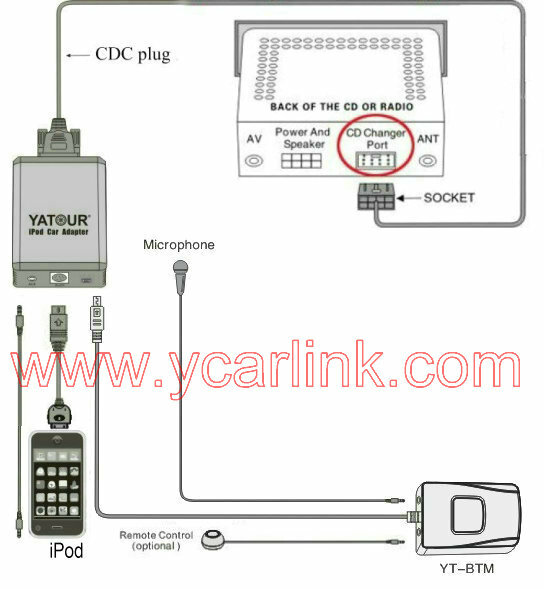 For Bluetooth function, you need to buy addtional Bluetooth module kit(YT-BTM) separately.